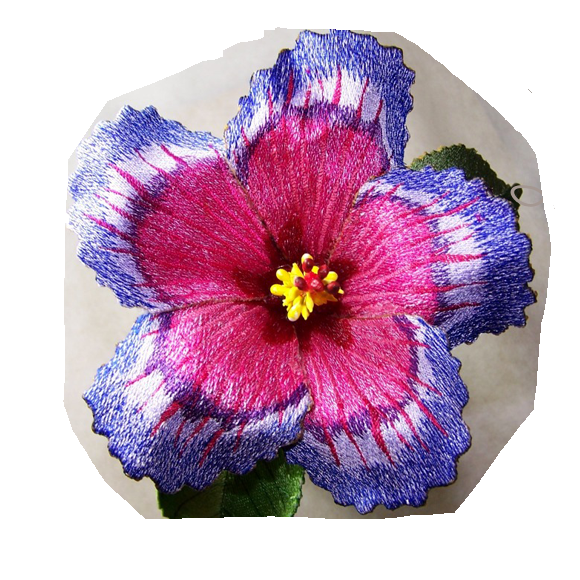 ITH 3D Hibiscus Flower. Learn more about Free Standing techniques and tips while stitching this beautiful flower. One of my favorites. You will get this design in 2 sizes. It will take most of the class to stitch out the small size. Bring desired thread colors and USB. Stabilizer and pattern will be provided.